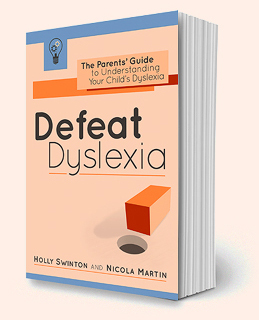 In Holly Swinton’s new book, you can find out with what dyslexia really means for your child’s reading, spelling, maths, and other areas of learning, including music, languages, and sport. Then discover straightforward, positive ways to help your dyslexic child to excel, in school and in life. Defeat Dyslexia! is available to buy worldwide, in paperback or ebook format, from Amazon, Kobo, iBooks and wherever else you get your ebooks. 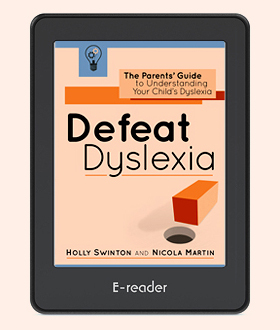 Read on a tablet, phone and computer: Simply purchase the Amazon Kindle edition and download the free Kindle app to read Defeat Dyslexia! on your tablet, computer or phone. Spot Dyslexia, Understand Dyslexia, Defeat Dyslexia! Identify signs of possible dyslexia, including hidden clues. Find out about overlapping conditions, like dyscalculia, dyspraxia, ADHD, and autism. Get to grips with the strengths and weaknesses of dyslexia. Make the diagnosis process stress-free. Learn the quick and easy ‘first steps’ for supporting your child. Create a long-term plan of action for learning success. 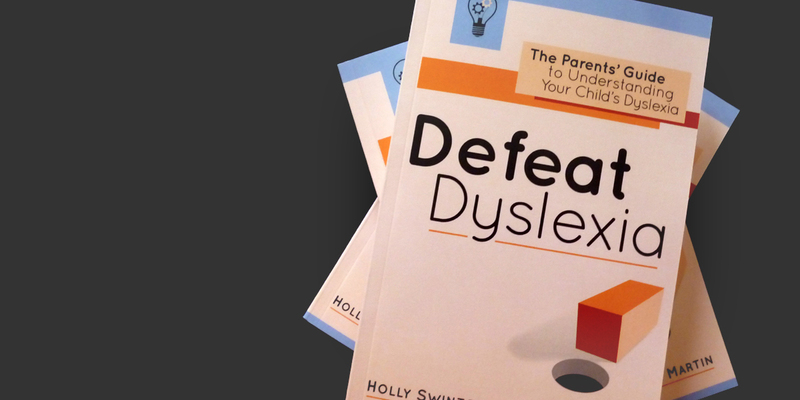 “This is an invaluable read for anyone trying to navigate the maze of dyslexia. The accessible, practical and light tone make this book highly readable with the case studies bringing the book to life. “The book speaks to you in an informative, accessible and friendly manner. It’s easy to understand yet not patronising. Definitely a toolbox ‘go-to’ book – very comprehensive.